Learn at your own speed. Are you new to card making or memory keeping? Do you need some inspiration for your project? I have your covered! 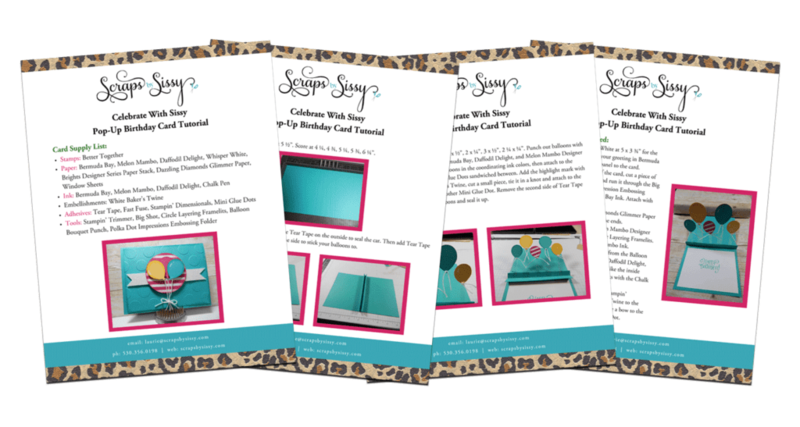 Here is a list of my tutorials to help all your crafty needs. If you need to purchase one of the items from the tutorial, just click the item from the list of materials and you can purchase it directly from my shop! Here is a quick tip video showing you how I make my bows using the Mint Macaron Sheer Linen Ribbon. Love to create this project? Get a bundle of 2 different ribbons and a package of Mini Glue Dots to use on your projects. You will get the Mint Macaron Sheer Linen Ribbon and the Very Vanilla Thick Baker’s Twine, plus the glue dots for $25.00.